When it comes to custom machine building, look no further than Emerald Tool. 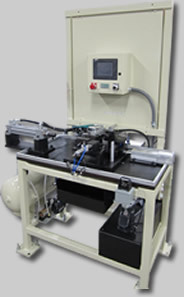 Our focus is building custom machinery to the customers’specifications and built to last for years. We manage your project from start to finish. Our staff is highly trained and has years of experience designing and building custom machines for a wide range of industries. Every member of our staff is focused on providing you with the best quality products.